Boldo is an aromatic shrub that is native to South America. The plant is commonly found across Chile, Ecuador, Argentina, Bolivia, and Peru. According to the Herbal Supplement Resource website, the leaves are the primary plant components used in medicine. The leaves are harvested all year round and are traditionally dried and used as an herbal tea infusion. Boldo is a sought-after medicinal plant due to its beneficial effects on the digestive system. The shrub is valued for its rich alkaloid content that stimulates gallbladder function and protects the liver against various diseases. According to the Botanical Online website, the plant’s extracts change the chemical composition of bile and mitigates the formation of gallstones. Boldo is also found to purify the liver and reduce the risk of developing liver-related conditions. Boldo is shown to relieve various stomach conditions as well. Cineole, an aromatic substance found in boldo, possesses powerful hepatotonic and stomach-protective properties. As a result, boldo is traditionally used as a remedy to stomach pain and gastritis. Experts recommend taking infusions of boldo to alleviate stomach conditions. Extracts obtained from the plant relieves excess gas too. Boldo essential oils are notably rich in ascaridol, a potent component that contains antiflatulent, sedative and mildly analgesic effects. The immune system also greatly benefits from boldo intake. 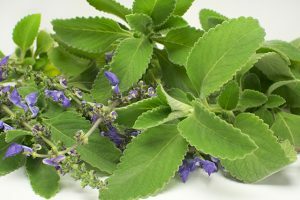 The plant’s essential extracts contain both immunomodulatory and antibiotic properties that help stave off infections such as influenza, gonorrhea, and malaria. The plant can be used to eradicate intestinal worms as well. Aside from this, certain components in boldo oils alleviate various respiratory infections such as cough, chest congestion and bronchitis. The plant may protect the urinary system as well, an article on the Medicinal Herbs website notes. According to the article, the plant possesses diuretic properties that help flush out excess water from the body. This means that boldo keeps urinary tract infections and nephritis. The article has also shown that boldo may help alleviate arthritis and rheumatism problems. Moreover, the shrub is found to contain soothing properties that relax the nervous system and relieves migraine, headaches and muscle pain. Aside from this, boldo is known to possess hypnotic and sedative effects that promote sleep. Boldo is shown to promote the body’s overall digestive profile. The plant is found to fortify the immune system as well. Likewise, boldo helps clear the respiratory tract and prevent the onset of related diseases. Boldo also ensures proper urinary tract function. In addition, plant extracts obtained from boldo helps promote the nervous system’s health. An article posted on the Herba Zest website notes that boldo comes in three main products: capsules, infusions, and essential oils. As per the article, both the capsules and infusions are commonly used to treat various stomach issues and ulcerations. However, the write up also cautioned that the essential oils should be diluted in water before consumption. Eating small quantities of raw boldo may also boost bile production and address stomach infections. Boldo relieves various digestive issues and prevents the onset of gallstones. Boldo mitigates the risk of various infections and respiratory conditions. Boldo staves off urinary tract infections, rheumatism, and nervous system woes. Boldo protects the gall bladder, liver, and the whole digestive system. Boldo is beneficial to both the body’s immunity and respiratory profile. Boldo supports the urinary, nervous and skeletal systems.